We are a professional, independent local company that carry out a variety of domestic and commercial work; ranging from one door to extensions, loft and garage conversions along with kitchens, bathrooms, staircases and most other work such as doors, windows and flooring. 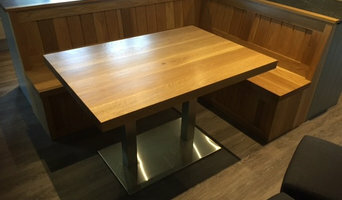 Distinctive Wood Design Ltd is a bespoke joinery manufacturers which manages every aspect of the joinery process, from idea conception to installation. We work with customers to create functional and stylish solutions to their problems, tailoring all work to the clients specific requirements. We create a wide range of products, including handmade furniture, traditional windows and bespoke conservatories, porches and staircases. We deliver high quality 1st, 2nd and 3rd fix joinery, with extensive experience of both new build and listed building projects. Established since 1850, S Taylor & Son Ltd continues to supply quality joinery items to both private and trade customers. Our apprentice trained craftsmen use only the finest quality timbers and have up to date machinery at their disposal to ensure a high class end product. CAD/CAM staircases, listed buildings/conservation, sliding sash window specialists. 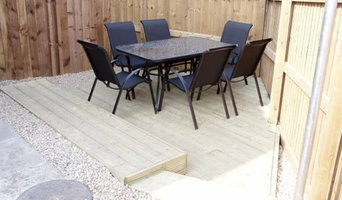 MP JOINERY was established in 1993, we specialise in bespoke carpentry and joinery for the private and business sector. We work to design supplied by your selves or interior designer, to the very highest standard we have numerous high profile clients who require the very best in finish, which we produce every time. Biker Group has successfully built up an excellent reputation as a leading manufacturer and installer of bespoke architectural Joinery in the North of England. From sliding sash windows to doors, we combine experienced master craftsmen with the very latest in modern technology and machinery to produce a superior product, which is of the highest quality, durability and finished with outstanding finesse. Attention is spent on detailed design to ensure our products are built with precision in both technical and aesthetical aspects, and are highly durable and energy efficient. With over 10 years experience and a confident and stylish approach to any request, you can be assured that Driftwood Joinery services will provide you with a competitive quote and 100% peace of mind that the service provided is second to none. Driftwood works alongside commercial companies throughout Middlesbrough, Stockton, Ingleby Barwick as well as providing domestic joinery work in private residences, and over the last 10 years our work has showcased itself with pride which is why, apart from our level of dedication, we are pleased to confirm that one of the many reasons why Driftwoods joiners services enjoys success is because many of our new business contacts come from word of mouth and clients passing on positive feedback. For over quarter of a century, technical prowess, cutting edge designs and extensive expertise has continued to set Stokesley Architectural Joinery apart from its competitors. 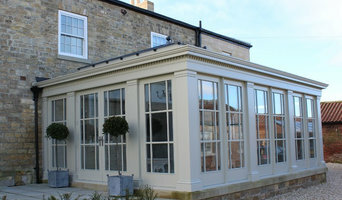 Whether it's a renovation project or a new build, traditional or artistic designs, Stokesley Architectural Joinery has the expertise to bring your design aspirations to life. Boasting a skill-set that extends to all wood types, the company has established partnerships with reputable suppliers to ensure a readily available supply of any wood at any time. Its team of experts has an in-depth understanding of the properties and uses for all types of wood and can provide non-committal consultations that balance aesthetics and practical requirements to identify the right wood for your project. General home maintenance, design and repair. We are a local family run business and we have been providing Cleveland with high quality joinery and home improvements for many years. We believe that excellent customer service goes hand in hand with a high quality finish on the work we produce. That is why the majority of the work we gain is through recommendations, which we believe is a testament to the work we produce. For over 40 years we have provided our customers with bespoke joinery manufacturing. Traditional joinery expertise is merged with the latest CNC routing technology and industry understanding to provide our customers with high quality products, delivered on time and on budget anywhere in the UK. N E Stairs Ltd. Oak staircase renovations N E Stairs Ltd Unit 4 Dunston Workshops, Railway Street, Gateshead Tyne and Wear NE11 9EB. Registered in UK 06079315 copyright N E Stairs Ltd. 2015 Home Solid oak Glass & oak Before & after About Contact How it works Jargon Video Eco Comments david walker image Hi, I'm David, I am a one man operation trading as N E Stairs Ltd. I specialise in transfoming existing staircases into oak. I do this using a unique system that I have developed through many years of joinery and staircase fitting. I trained as a graphic designer after leaving school, but soon turned my hand to carpentry and joinery. I travelled all over the UK as a shop and barfitting joiner for six years before settling back into Tyneside and starting this company seven years ago. Since then I have built up an enviable reputation for delivering quality, handmade stair parts and transforming humble and often unsuitable staircases into oak masterpieces. 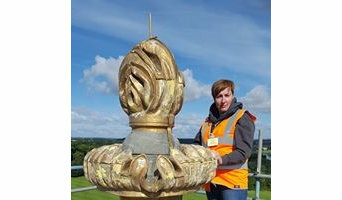 I do everything, from the initial visit to your property, preparation of your personalised quotation, to hand picking the timber, manufacturing and finally fitting your stair components. In summary, it's me you deal with from start to finish. My workshop is based in Dunston, Tyne & Wear and I am willing to travel up to 30 miles from Gateshead for most staircase jobs. Bespoke Furniture makers based in the nederlands and UK. Comment choisir une entreprise de menuiserie ou un artisan menuisier sur Yarm, North Yorkshire, UK ? Comment choisir un menuisier ébéniste sur Yarm, North Yorkshire, UK ? Pour trouver un menuisier ou un ébéniste sur Yarm, North Yorkshire, UK, affinez votre recherche dans la section « Trouver un pro » par ville ou par nombre d'avis. Nous vous invitons à regarder des photos de menuiseries intérieures et extérieures et à contacter un spécialiste qui a travaillé sur des projets similaires au vôtre.